Home / Seasonal / Easter / Chocolate on tour! Next stop, Ramsbottom……. 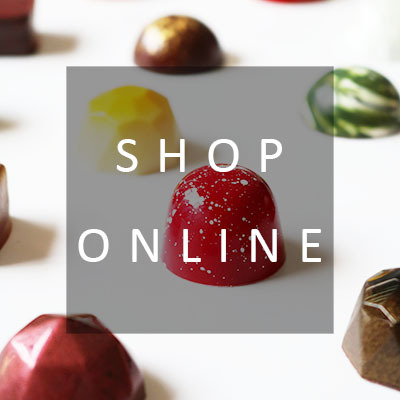 Please note that our last date for orders to be delivered in time for Easter is Sunday 14th April. Chocolate on tour! Next stop, Ramsbottom……. On 24th & 25th March, we’re back at Ramsbottom Chocolate Festival for #chocfest18. This festival celebrates its 10th year in 2018, and we’re looking forward to returning after the success of last year. The festival is outdoors, taking over most of Ramsbottom town center. Last year, it was a bit difficult to find us as it was the first time the festival had spread across several different areas. This year, we’ll be back on Bridge Street along with other fantastic local chocolatiers, and chocolate themed exhibitors from all over the country. The event is free to attend and, with so much chocolate on offer, is sure to make a wonderful family day out. It happens on the last weekend before Easter, so it’s a great opportunity to seek out some unusual Easter gifts from local artisan makers. We’ll have eggs, chicks and lollipops, along with some special items that won’t be available in the online shop. You can find out more information about travelling to and parking at the event on the festival website or event page. Subscribe to the Eponine newsletter using the form below and be the first to hear about special offers, along with new products, promotions and exclusive competitions throughout the year. Next post: Once… Twice… Three times a gold winner! All you need is love….and chocolate. © 2013-2019 Éponine Patisserie Ltd. 08669140 (England & Wales). 18 Miles Lane, Greasby, CH49 3PA. All rights reserved and asserted.